Give your tot Bubbaroo’s Comfort Plush Joey Toy. This bouncer is a bedtime champion and the icing on any bedtime routine. 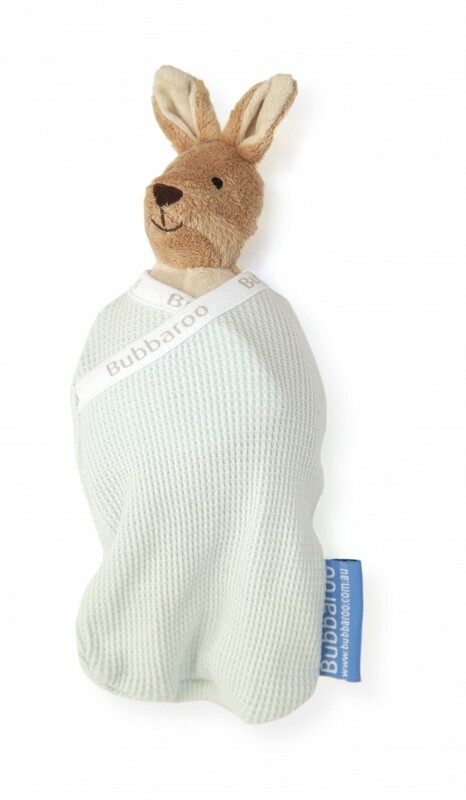 Our swaddled marsupial makes a great dreamtime buddy for your baby or toddler. We bet JT will soon become a solid sleepy favourite. Bubs and toddlers will love playing and cuddling up with the soft, plush fabric of our baby toys. Sleep is sounder with the familiarity of this plush plaything. Wrapped just like bub, the Joey Toy (JT for short) keeps company and kindle’s imagination as a little sleep ambassador. Suitable for kids 0-3years, the Joey Toy carries the CE marking and has undergone the rigorous testing required of toys for the littlest ones in Europe and Australia. 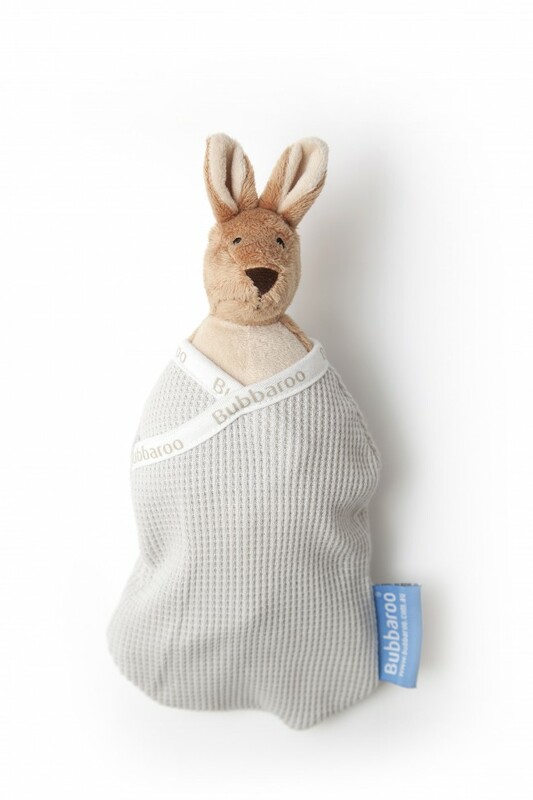 Our cute Kanga is a fun and furry friend to share sleep time with. The snuggle softness is comforting and cosy, making a sensational shut-eye buddy. 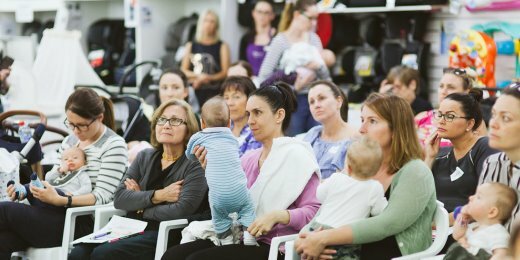 Bubs especially love the tactile feel of the 100% cotton waffle fabric JT is wrapped in. The Joey Toy is small enough to go everywhere, making JT the perfect keen Kanga for little adventures and dreamtime alike. Big kids also love bouncing with JT! 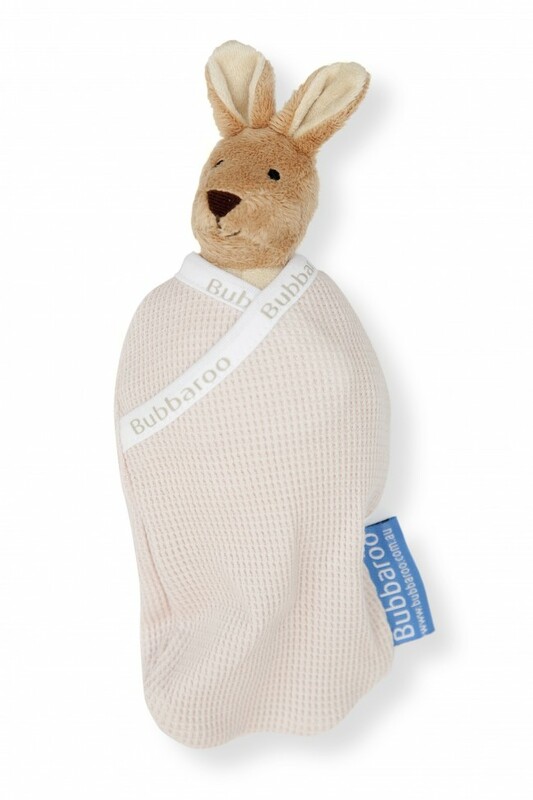 Our Joey Toy comes wrapped in Bubbaroo’s signature 100% cotton waffle in your choice of mocha, blue and pink. Collect the whole trio for a Kanga crowd. Complies with European Toy Standard EN71 and Australian Toy Standard AS/NZ 8124. Joey Toy is the cute go anywhere comfort toy for kids of all ages!